The phrase is generations old and basically means do not put all your trust in one idea or plan for success. With Easter just round the corner, we have decided not to write about bunnies and chocolate, but a blog discussing trust. All companies prosper based on the effectiveness of their customer and supplier relationships. If a customer is happy in their relationship with their supplier, the level of trust increases. However, if this relationship is not well maintained and little time is spent on developing that relationship, the Customer can leave. Here at EWFM, we work extremely hard in maintaining our Supplier and Customer relationships with regular visits and open lines of communication. As UK & European Distributors for many of our Suppliers, we promote their products on a weekly basis through our mailshots and via our website. These close relationships ensure that we can offer cost effective pricing to our Customers, both returning and new. As a Company trading now for almost 19 years in the UK and Worldwide, we do feel that we have earned a reputation as being trustworthy, and a Company who can be relied upon to deliver a range of products which are cost effective and reliable. We could go as far as stating that: “Yes, you could put all your eggs in one basket when dealing with EWFM”. If you read our recent blog on St. Patrick’s Day (the transport journey of food and drink), you would have ascertained the added value we can offer when supplying product thereby reducing the need to order from numerous suppliers. Hope and Trust go hand-in-hand so when we say “we hope you will look at our website www.ewfm.co.uk and trust you will find the swivel/coupling/filling equipment you are looking for”, we mean it. Last week EWFM attended the 15th Anniversary of Stoc Expo 2019 in Rotterdam, the leading event for the Bulk Liquid Storage Sector. One meeting has extremely exciting possibilities so watch this space for potential new products coming to our product range. It was a pleasure to make new relationships both with potential customers and also with potential suppliers; we look forward to attending next year’s show and seeing everyone again. If you have a requirement or a planned project that you would like to discuss further then get in touch with our Sales Team wherever you are in the world and we will be delighted to help. To keep up to date with news on how we are supporting our customers, our latest blogs and new services available, keep checking in on our website throughout the year and follow us on social media including LinkedIn, Facebook, Twitter, Google+ & Instagram. St. Patricks 2019 has past, silly hats were worn, too much Guinness was consumed and the dancing was crazy. But what was is it all about? 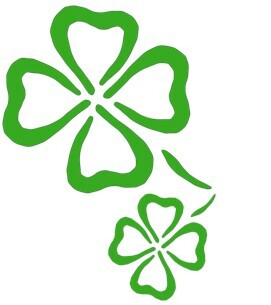 The day commemorates St Patrick and the arrival of Christianity into Ireland. So why are we at EWFM now writing a blog entitled St. Patricks day? Well unbeknown to you EWFM’s range of products assisted in delivering this memorable day to the masses. Let’s look at the transport journey of the food and drink you consumed, and how you, the consumer has benefited from the use of our products. Food and drink is transported in road and rail tankers. This produce is moved around in bulk to ensure that people all over the world can enjoy St. Patricks day just as much as the Irish. Once the food or drink arrives at the depot in the tanker, it needs to be emptied. These tankers are filled and emptied primarily using Loading arms for which EWFM have supplied an extensive range worldwide. It’s one thing saying you’ll empty the tanker with a loading arm, but have you thought of how these are connected? EWFM supply MannTek dry disconnect couplings and breakaways. The couplings ensure a quick, safe and spill free connection/disconnection. The breakaways on the other hand reduce risk in the event of a pull away incident. They protect both the equipment and the operator. Not only that we don’t want any beverages going to waste do we! With the tankers now emptied, and the food or drink safely transferred to storage tanks, it’s time for the produce to be condensed into smaller containers such as IBC’s, Drums and casks ready for shipment to local branches/stores. If you are reading this blog, you must have the luck of the Irish because you’ve now found out that EWFM supply equipment for this process too. We supply food grade nozzles, drum filling heads and couplings. These are all used worldwide for filling numerous containers with up to a 2” bore opening. DID YOU KNOW GUINNESS ALREADY USE THE MANNTEK RANGE OF COUPLINGS FOR FILLING IN THEIR DEPOTS IN SCOTLAND? So when St Patricks day comes around again, and you are enjoying a cold pint of Guinness or a nice warm Irish stew, think of the journey, how it’s been looked after and how far it’s come. You never know you might enjoy it just that little bit more. At the start of February EWFM attended the Subsea Expo 2019 in Aberdeen. 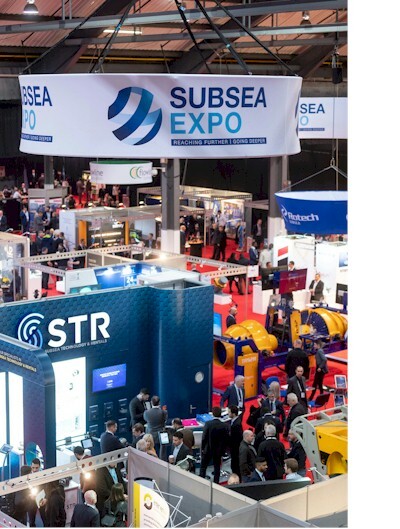 The Expo, the largest Subsea Expo in the world had over 6500 visitors from all corners of the world – a 30% increase from 2018. Along with over 170 exhibitors this was a record breaking year and an exciting Expo. The impact of the increase in the price of oil & of Government Initiatives leading to new investment in the Industry was clearly in evidence throughout the Expo and the great exhibitions, stands and seminars. Subsea is once again a thriving industry with a wealth of expertise and great opportunities ahead. A long way from the downturn of 5- 10 years ago. Bucking the trend of lovey dovey schmaltz on this, the most ‘loved up’ day of the year, we would like to discuss the benefits of conscious uncoupling. No, we are not encouraging you to break someone’s heart, but to make the decision to use a product guaranteeing the highest level of safety and the quickest way of disconnecting/uncoupling from your hoses and pipelines (loading and unloading equipment). Dry Disconnect Couplers – The self sealing design of the Dry disconnect couplings guarantees both the highest level of safety and also the quickest way of connecting and disconnecting. Perfect for bulk fluid transfer from tankers, IBC’s, hose, loading arms etc. In accordance to STANAG 3756. Gas Couplers – Suitable for handling a range of LPG applications – Propane and Butane but also for other applications with similar requirements. Cryogenic Couplers – Suitable for temperatures down to -200 Deg C. Designed to be used with LNG and nitrogen products. Aviation Couplers – Designed for the aviation and military in accordance to ISO 45. Generally supplied in Stainless Steel and Aluminium construction. 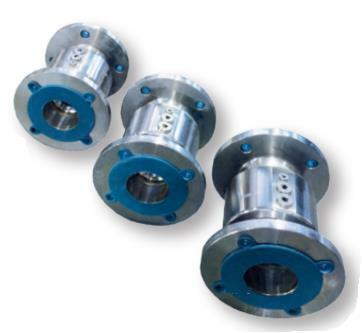 Engineered Couplings – Tailor made to your requirement, often used in hazardous and hygienic areas. Exotic materials available including Hastelloy, black PTFE and PEEK. API Couplers (liquid & vapour) – Used with both road and rail tankers, manufactured in accordance to API RP1004. Breakaway Couplings – Designed to prevent pull away accidents, protecting loading/unloading equipment and preventing unwanted product release. So what would we suggest you do today? 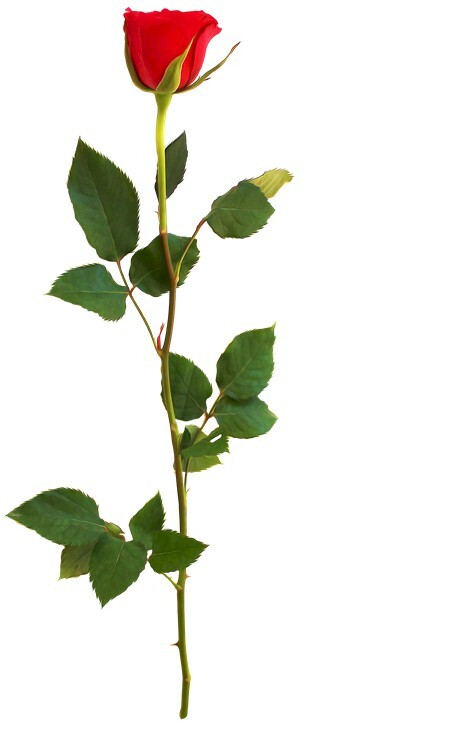 After the flowers have been given and received, the restaurant booking confirmed, the box of chocolates opened, you could sit down with your maintenance team, and evaluate your current set-up. Ask yourselves, do we have the safest most efficient and cost effective systems in place? If the answer to any of the questions is a no or a maybe, why not contact Guy or Mike on 01763 248650 for some advice on the various options available. The snow is starting to settle and temperatures are plummeting, it’s time to wrap up and try to keep warm. This is the case for many people but did you know many fluids must also follow this guidance. EWFM provide loading arms for filling road or rail tankers with hot products. These are perfect solutions when filling endothermic fluids. So what can we do and how can we help? Jacketed loading arms are best described as an ‘arm in a sleeve’. Effectively you have a standard loading arm in the centre which will carry your media. You then have another arm surrounding this which is fed with hot oil or gas. In turn the hot media keeps your real product warm at the correct temperature. We can provide jacketed loading arms in sizes up to a 4” product line. Below you can see examples for the configuration we have available. Electrically traced loading arms are our most popular. They are simply ‘plug and play’. The arm is traced with electric coils that generate heat to the desired temperature. Electric tracing is ideal where there is no possibility of a hot gas or oil line. They also tend to be light and more ergonomic to use. Unlike the jacketed loading arms these can be manufactured with up to a 6” product line. Below you can see some examples of the configurations we have available. For the last decade EW Fuel Management has been supplying Subsea Swivels worldwide. The picture below shows an 18” subsea swivel deployed in the Atlantic Ocean off Brazil, to be used 3,000m below sea level with an operating pressure of 5,000 psi. 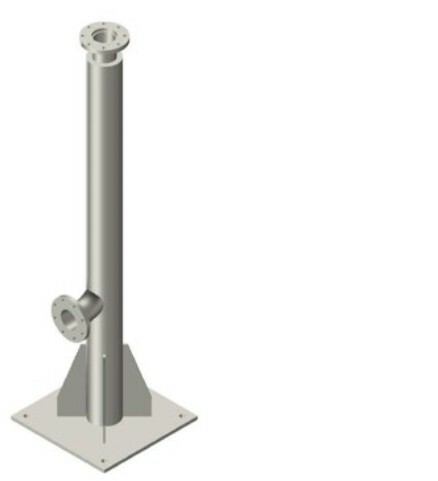 Our swivels are used to relieve stress and torque from pipework during the laying operations in subsea conditions. As subsea equipment is lowered to the sea floor, swivels reduce bending, help to prevent damage, and reduce installation time. According to Wood MacKenzie, North Sea exploration is back in 2019. They are forecasting over 40 exploration wells to be drilled in Norway (up from 26 last year) with the UK sector seeing 10-15 wells this year as opposed to 8 in 2018. If you are thinking of going to Subsea Expo (5-7 February) and would like to meet up with us to discuss your swivel dilemma, please give us a call on +44 1763 243650 to arrange either a meeting or a quick coffee. We know every project is unique and we will bring our engineering and technical expertise to your project. With an in-house hyperbaric chamber we can test swivels with external pressures up to 500 bar. As we enter 2019 it gives us time to reflect on the past 12 months. We faced the ‘beast from the east’ at the start of the year not once but twice. To boost the U.S steel industry, President Trump introduced legislation effecting exports/imports into the USA, and added to this, there has been the on going uncertainties around Brexit which show no signs of ending and impacts daily on the value of the pound. Despite on-going challenges in our industries, we can proudly state we have increased our annual sales turnover by 30%. On a positive note, 2018 saw an average rise in the price of crude oil, the U.K experienced the joint hottest summer on record, witnessed England nearly winning the World Cup, and two royal weddings! The website continues to grow and be an integral part of our business. Attracting more and more visitors each month, it is updated regularly with new images of our products. This has helped lead to a 20% increase in customer enquiries during 2018. Moving into 2019 our plans and goals for the business continue to be the same. With exciting new opportunities on the horizon including new products and expansions into new business areas 2019 looks set to be another exciting year at EWFM. To all our existing and potential new customers we wish you a happy, successful and prosperous 2019 and we look forward to working with you. Liquefaction is the cooling of gases to its liquid state – this is done using cryogenics at very low temperatures normally anything below −150 °C (−238 °F). 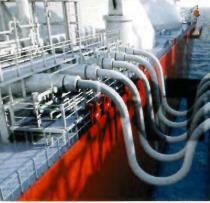 The most important commercial application of cryogenic gas liquefaction techniques is the storage and transportation of liquefied natural gas (LNG). In its liquid form, LNG occupies about 600 times less space than as a gas allowing cost effective storage and transportation over long distances. The 2018 World LNG report shows LNG steadily establishing itself as the fuel of choice in markets across the world reaching a global trade of 293.1 Million Tonnes in 2017. A 12% increase from 2016, a 3rd consecutive record breaking year and its highest annual growth since 2010. We offer a variety of products that are suitable for cryogenic applications down to -230°C (-382°F) for use with gases and liquefied gases such as LNG, but also Liquid-Oxygen, Ethylene, Propylene, Ethane etc. Our main products are Couplings, Breakaways & Swivel Joints with further products available upon request. Perfect for Container Discharge, Fuel Bunkering, Loading / Unloading of Trucks, Rail & Ship Tankers, Vapour Recovery Lines and fuelling of Ferries & Ships, our dry disconnect and safety breakaway couplers are proven to do the job. 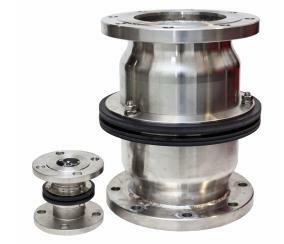 Our Dry Cryogenic Couplings are a breakthrough within the LNG industry. With one single action, a straight forward push and a turning motion, to connect the couplings for a full flow motion. A quick and easy “turn and pull”- action will disconnect and close the valve with no spillage. These are used to prevent any excess spillage and protect people and environment from dangerous liquids and vapours. Female NPT thread, EN1092 (DIN) and ANSI flanges, others on request. Get in touch with Mike and Guy in our Sales Team today to let us know your requirements on +44 (0) 1763 248650 or sales@ewfm.co.uk and see how we can help you / your business moving forward. API Couplers used for bottom loading and un-loading of petroleum tankers have been industry standard for connecting and dis-engaging from tanker filling adaptors since the mid 1970’s. 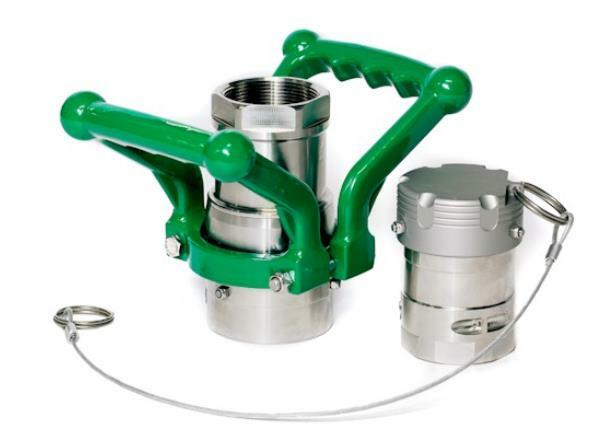 Manufactured from Aluminium, the 4” female API Liquid Coupler and Vapour Coupler are used for installation on bottom loading arms or flexible hose for white hydrocarbon products and ensure a safe and quick connection to the male API Adaptor on the tanker. Manufactured to API RP1004 this coupling can be used with any male adaptor manufactured to the same Industry standard. Why Choose these API Couplers? Both designs of couplers are fitted with T.T.M.A. flanges and a check valve which ensures a complete seal, when the coupler is connected with the Male API Adaptor on the tank. This valve is manually operated by a lever (2 in the case of the vapour recovery coupler) and negates the problems encountered with semi-automatic couplers where the mechanism can jam and become difficult to release. Both designs of API couplers are of a robust construction, a durable design and are easy to maintain. Manufactured in Aluminium they have an anodised surface finish, and Viton Seals. 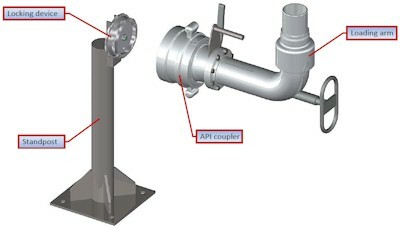 Although both designs are supplied with TTMA inlet connections as standard, there are other options available for the API Vapour Coupler. It may also be worth noting that the API Vapour Coupler comes complete with brass locking cams and that a bio fuel model and other variations are available for the API Liquid Coupler. The Viton seals can also be replaced by Viton LT Seals, for use with low temperatures down to -40Degrees or Kalrez PFX8010 Seals for aggressive fluids.